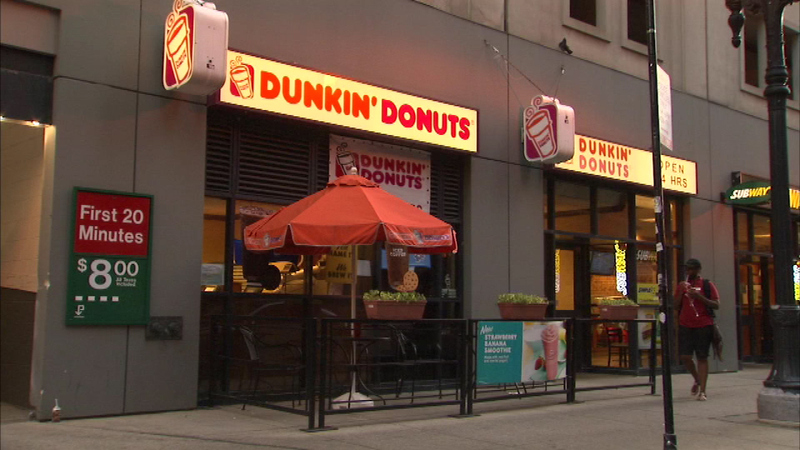 A gunman robbed a Dunkin' Donuts on a busy downtown Chicago street on Friday night. CHICAGO (WLS) -- A gunman robbed a Dunkin' Donuts on a busy downtown Chicago street on Friday night. The robber walked into the store at 27 W. Lake St. just before 7 p.m., forced an employee to the floor, then took cash from the register. The worker was alone at the time. An employee said the robber was wearing a city-worker type vest. No one was hurt.